POCOPSON — Township officials addressed several housekeeping issues during Monday’s Board of Supervisors meeting. During the public hearing portion of the evening, Supervisors’ Chair, Steve Conary opened the floor for public comment relating to changes and additions proposed to five township ordinances. The first amended the tax chapter of the township code. Conary said the ordinance will now include an article stating that each newly elected tax collector deputizes the tax collection agency. He said the need for the amendment came when the township tax collection agency, CENTAX went out of business earlier this year. The second ordinance repealed any existing chapters regarding establishment of the township planning commission. Conary explained that officials were unable to find the original copy of the ordinance establishing the commission — although documentation from the 1960s and 1970’s referenced the group. The ordinance would also add a new chapter establishing a planning commission of up to 9 members. There are currently seven members on the commission. Third was a revision to the sign ordinance, removing a conditional use hearing requirement under certain circumstances. Conary said township officials would continue to be responsible for approving signage, but the revision removes the legal expense of holding a conditional use hearing – giving fairness to the small business sector. The fourth ordinance focused on adding a new chapter called grading, erosion and sediment control in order to regulate modification of terrain and modification of natural drainage on privately owned property. Conary explained that a permit would be required when grading over a certain amount of square footage. He said the new chapter incorporates requirements already included in the township subdivision ordinance. There was no objection from the audience and all five were passed unanimously. Conary said a new Peddling/Soliciting ordinance along with amendments to the Fences/Walls ordinance would be discussed at the Monday, December 3rd Board of Supervisors’ meeting. 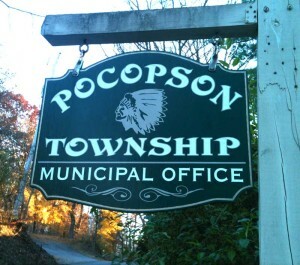 Supervisors also announced the posting of the proposed 2013 township budget on the website, www.pocopson.org. The new budget does not call for a change in the total tax rate, but now breaks out fire protection and ambulance and rescue as separate line items. It does not make sense at to add a Peddling/Soliciting ordinance at this time. The main reason is that it will do nothing to resolve or even curtail the problem. And that is if the problem even exists in the first place. Pocopson Twp. does not have its own police department and the State Police WILL NOT enforce any township ordinances. Their duty is to enforce the laws of the Commonwealth of Pennsylvania. The only other way the township could even attempt to enforce this proposed ordinance would be to utilize the services of the township code enforcement officer. However, the first time he makes contact with an alleged violator, there is nothing that he may do to compel them to provide him with their personal information. Furthermore, we may actually be putting him in harms way. While he may have enforcement powers in this situation, that does not mean that he possesses police powers or the power to arrest. Therefore, I find myself posing this one simple question. Why pass an ordinance that basically cannot and will not be enforced? We live in a beautiful rural township that we are all proud to call home. If you want a big government community, then unfortunately this may not be the place for you. When someone who is actually suspicious comes to your house or neighborhood, do the right thing and just call the police. Sean, I could not disagree more. We are having rather serious issues with solicitation in some neighborhoods (and it has been used as a cover for casing out potential home robbery locations — I know of two individual cases where “solicitors” dropped burglary tools when confronted in Pocopson. As you know, there have been a rash of home burglaries in Chester County, a number of which have been of the “knock-knock” variety (a “solicitor” goes door-to-door until they find an unoccupied home and he or she breaks in). The primary point of the ordinance is two-fold: deterrence and awareness. By posting signs and making it clear that solicitation is regulated, criminals will seek easier, less regulated locales. With neighboring towns already either severely regulating solicitation or about to adopt ordinances doing so, the lack of one in Pocopson will lead an already evident problem becoming epidemic. If residents know solicitors must be registered, they can call and check on suspicious activity — if someone is soliciting without a permit, that would certainly qualify as “suspicious persons” and warrant a State Police call. Are we expected to call State Police every time some unfamiliar solicitor comes to the door? In my neighborhood, that would be weekly — and a terrible waste of taxpayer dollars. Like it or not, home invasions and burglaries are a growing issue in this community — and one that will be a bigger problem in the years to come, not a smaller one. Youth groups, political and religious groups would be exempted from this ordinance, obviously. There is no, and was never, an intent to hire an enforcement officer, as that would be unworkable and expensive. The ordinance would empower township residents to ask questions, be wary and deter unlawful behavior. I find it hard to believe anyone would oppose that. I truly wish this were 1970 and we did not need to adjust to changes. But just as Sen. Dominic Pileggi and District Attorney Thomas Hogan fought for stronger anti-gang legislation — badly needed legislation, I might add — our township must adjust with the times and realities on the ground and act accordingly. This isn’t an issue of big government vs. small government. It’s one of effective government, using common sense to solve real world problems.